The sheltered Ionian on the west coast of Greece is ideal for a relaxed sailing holiday, so popular with families and less experienced crews. Gentle afternoon breezes make the Ionian one of the safest areas in the world for a relaxed sailing holiday and yet there is plenty to do and see. The scenery is beautiful and there are numerous secure anchorages, picturesque harbours and lively towns. A sailing holiday is the perfect way to discover the beautiful unspoilt Ionian islands, nestling in clear blue seas, hillsides clad in olive and cypress. Being skipper of your own charter yacht gives you total freedom to explore. There's always time to anchor in a secluded bay for a swim off your yacht, enjoy a walk to a market or cliff-top view, or simply relax. Once you’ve moored up in a picturesque fishing harbour for the evening, step ashore for dinner at a waterfront taverna. This sailing holiday is perfect for families with children. There's so much going on afloat and ashore - it's such an adventure and no time to get bored! It’s fun to swim ashore for an ice cream at the beach bar, take a trip in the dinghy to explore some caves or eat a picnic on a secluded beach. A charming Greek harbour with a choice of restaurants and a nearby beach. The superb setting, with views across to Meganissi and Scorpio, will soon put you in the holiday mood! Enjoy a sail across to Sivota on the east coast of Levkas. This unspoilt fishing village is surrounded by hillsides covered in olive and cypress trees. The shops, cafes and tavernas on the waterfront cater for visiting yachts. On the way you pass a choice of bays on Meganisi for a lunchtime anchorage. Fiskardo on the northern tip of Cephalonia is one of the prettiest waterfronts in the Ionian and offers a safe and picturesque harbour. Enjoy cocktails and ice creams on the harbourside and watch the yachts mooring up. Ithaca is reputedly the island home of Odysseus and the east coast offers numerous bays and anchorages. Vathi has good shopping and numerous tavernas in the town. Walk up to the traditional village above the harbour for fresh bread in the morning and a stunning view. 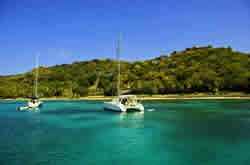 Sail to Spartohori on Meganissi, just opposite Scorpios island, with fabulous view from the town up the hill. Stop for a last lunchtime swim in your favourite bay on Meganissi. The marina is in the centre of Lefkas town. Restaurants and small supermarkets are within walking distance. Head south through the Lefkas canal. Sivota has a very pretty waterfront with shops and tavernas. 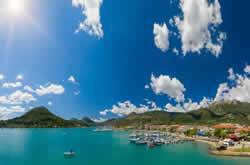 Fiskardo offers a safe and picturesque harbour on the island of Cephalonia. Attractive harbour and convenient for visiting Lake Melissani and the underground caves of Drogarati. Small harbour on the southeast corner of Cephalonia. Port Zakynthos was rebuilt in 1953 following an earthquake but retains its Venetian charm. Stop off at Ay. Nikolaos on the north of Zakynthos for a lunchtime swim. Ithaca, reputedly the home of Odysseus, has numerous bays and anchorages on the east coast. The main harbour at Vathi has good shopping for provisions and numerous tavernas in the town. Kioni is one of the prettiest harbours in the Ionian. Sip an aperitif in one of the waterfront tavernas and watch the harbour activity. Kalamos offers remote anchorages and spectacular scenery. Limited shops and restaurants in Port Kalamos, although the walk up to the village centre is worthwhile. Choice of bays on the north side of Meganisi for a lunchtime anchorage. Overnight at Spartakhori. The view from the village at the top of the hill is worth the walk! Nidri is fast becoming the sailing/watersports centre for Lefkas and has good shopping for provisions and many waterfront tavernas. Shopping for souvenirs in Nidri before heading back up the canal to Lefkas marina. DAY 14 : Lefkas Marina. We have rated this destination a 'Level 1' (levels info) and you will need an ICC qualification for bareboat charters in the Ionian. You can see a full list of the bases we offer in Greece along with the level ratings here so that you can find the most suitable destination for you. If you are at all unsure about a destination then please get in touch and our sales team will be more than happy to make their recommendations for you. For yacht charters from Palairos or Lefkas, the nearest airport is Preveza. Thomson and Thomas Cook have flights on Sundays from Gatwick and Manchester. Easyjet also fly from Gatwick to Preveza on Sundays and Wednesdays as well as on Fridays from mid June. 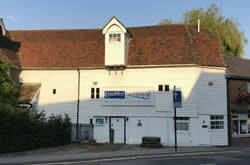 We can also offer seats on a chartered British Airways flight from London Heathrow to Preveza on Sundays. The transfer time from Preveza airport to both Palairos and Lefkas is around 30 minutes. 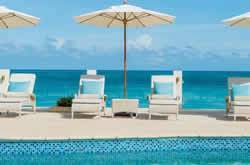 We can often arrange transfers in advance with the base and costs vary depending on time of day and number of guests. Please speak to one of our helpful sales team who can advise you on current transfer information. With regular flights why not add on a few days or even a week on land either before or after your charter? For those who just cannot get enough of your water-sports then why not try Nikiana Beach Club, a small, family friendly complex with a range of activities to chose from daily. "This was the 4th bareboat holiday we've taken with Nautilus and your assistance with each one has been absolutely superb! What an amazing untouched part of the world with some of the most beautiful landscapes and bays I have ever seen"
PROMOTIONAL PRICES shown in red. Extra 5% OFF for 2 weeks. FURTHER LAST MINUTE DISCOUNTS OF UP TO 30% FOR MAY DEPARTURES.